I never was a big fan of racing games, especially on mobile devices. I always felt that the motion controls were gimmicky and lacked accuracy plus the good games were always paid so broke little me never got to enjoy them; until now! Asphalt 8 Airborne is the eighth installment of the Asphalt series by Gameloft and brings to the table the core gameplay experience of previous Asphalt games but offers a new dimension to the classic take on racing. As the name suggests, this time around players can take to the air via ramps placed along the racetrack. Make no mistake, this game does not provide the free roam experience, the player races along a pre set track. 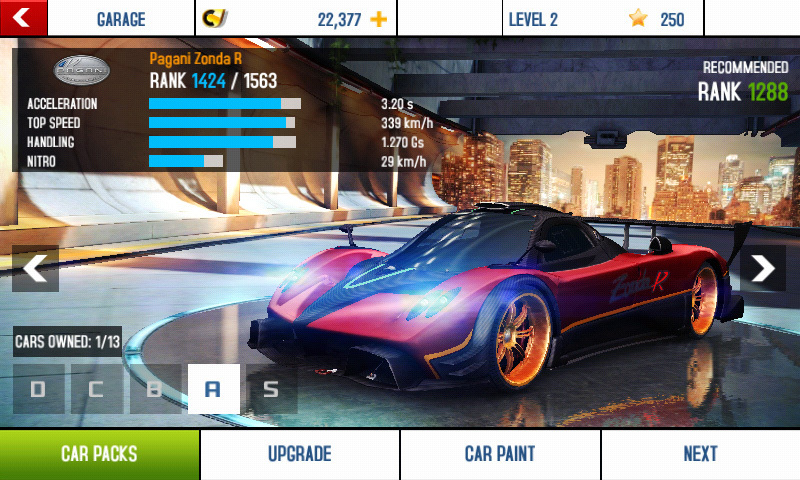 Asphalt 8 Airborne is a freemium game meaning it is free to download and play but has in-app-purchases. This model allows everyone access to the game and gives players the option to gain new vehicles or unlock new seasons using real money. The very first thing that determines whether or not a person likes a game is its graphical quality and this is where Asphalt 8 shines. Right off the bat it is obvious that time and effort was spent to deliver a sharp viewing experience whether it be on the large screens of tablets or on the smaller screens of smartphones. The game features 47 vehicles at the time of writing this article and also exclusively features the LaFerrarI and the unreleased SSC Tuatara. Needless to say, each vehicle looks stunning. The game takes the player through various settings such as tracks in China or Barcelona and succeeds to capture the essence of each exotic location. As a bonus, the game is equipped with an awesome soundtrack that just adds to the overall experience. What came as the biggest surprise to me was how smooth the game ran, I expected running into a lot of lag especially due to the fact that I first tried the game on an old Samsung Galaxy S2. Nevertheless, the game ran smoothly for the most part with lag popping up once in a while. On newer and more powerful devices, lag was incredibly rare and only showed its face if the device was using ram extensively. Testing the game on an iPad Air demonstrated the same results as with the higher range Android devices. Learning the controls is fairly simple as the game takes you through a small tutorial that shows the basics like how to steer and use nitrous and also teaches more advanced maneuvers like barrel rolls and flat spins. The best thing about the tutorial is that it teaches the required skills in one short session so there is no need to navigate between different segments. Aside from the fluid experience, I found the controls to be precise and responsive. I used all control setups and discovered the motion controls to be adequately effective. Still, I preferred to stick to the more accurate on screen controls as later on in the game, sloppy moves can not be tolerated. A negative for the racing experience is the seemingly random spawning of pedestrian vehicles which seem to appear out of nowhere especially during races in the higher classes. Although the game claims that it features a detailed damage system and realistic crashes, this was one area where I begged to differ. The crashes were more pretty to look at than any other mobile racing game, switching over to a slow motion crash cutscene but they definitely did not look like any real crash. Additionally, the short cut scene causes the player to lose sight of the track and would often result in the player himself crashing. Aside from the classic races, there are four other game modes: Knockdown, Gate Drift, Infected and Elimination. In Knockdown, the player has to crash more racers than his opponent to win. Gate Drift is a mode where the player has no other opponent, he rather has to cause his vehicle to drift through gates in a certain amount of time to accumulate wins. In Infected, the racer in last place gets a virus which causes his vehicle to turn green and have unlimited nitrous. After a while his vehicle gets wrecked and he becomes cured. To prolong the infection, the player can hit other vehicles (which infects them) or perform stunts and collect nitrous. Finally, in Elimination the player has to race to stay ahead of the other competitors. The racer in last place gets eliminated from the race after a set time limit until there is only one player remaining who comes out as the victor. All these game modes allow for variation and help to keep the player interested for a longer duration. Sometimes the different game modes require significant amounts of strategy in order to finish in first place. 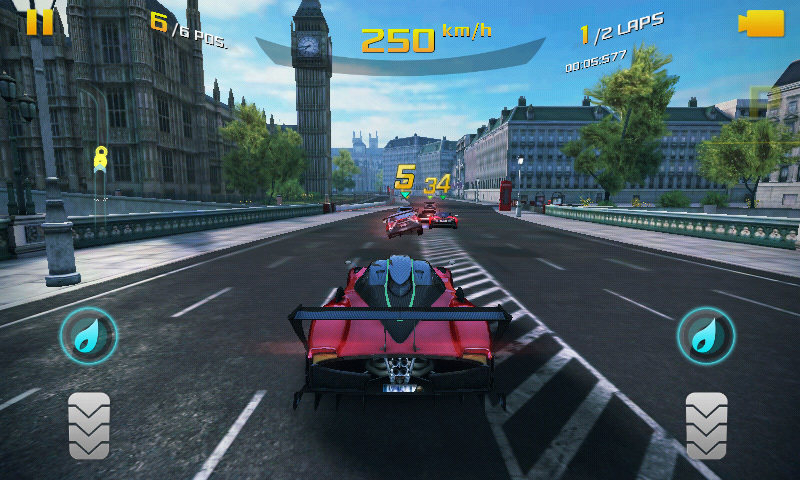 Asphalt 8 features a unique multiplayer experience not found elsewhere in mobile games. It allows players the option to upload their “ghosts” to the game database after having completed a certain racecourse. This gives the opportunity to race with friends’ ghosts in order to beat their times whilst they are offline. Another feature is live multiplayer racing. This is where the real multiplayer is at. 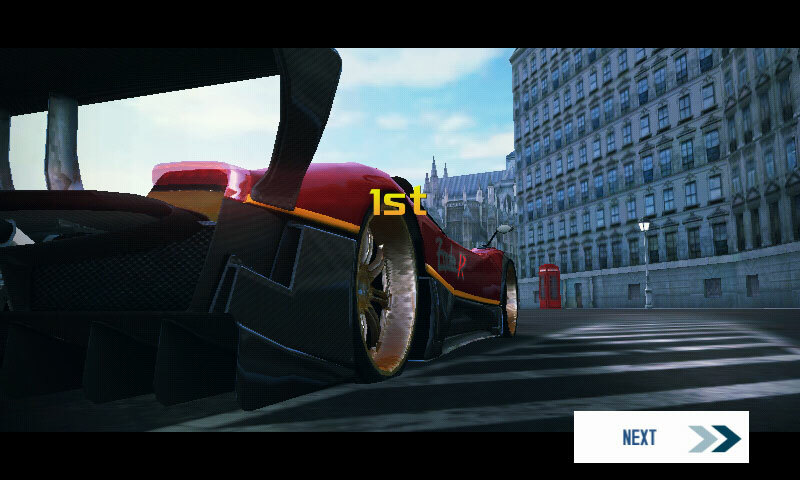 Participating players are matched online based on rank and after the required number of players join, a screen pops up where each player votes on which race track to play on and what type of race to play. Then the racing begins. In my tests, a speed of 2mbps was sufficient to enjoy the multiplayer with minor hiccups.